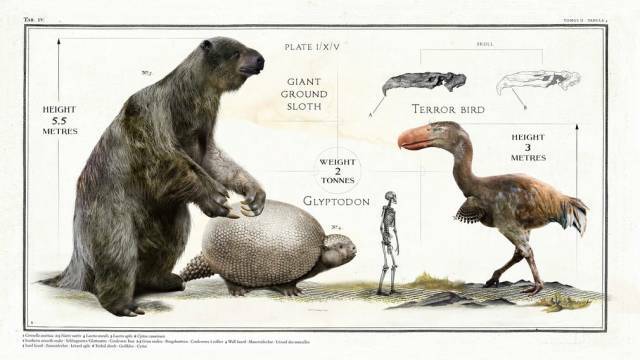 The ice age giant ground sloth ( Megatherium) stood a colossal 5.5m high. Meanwhile the Glyptodon is a prehistoric relative of the modern armadillo – albeit one the size of a VW Beetle. While the terror bird from the Cenozoic era was a truly terrifying 3m high. 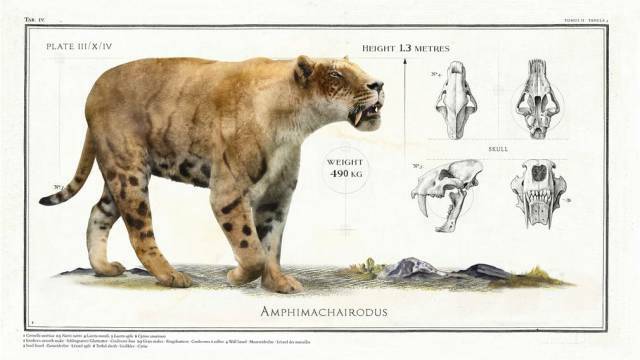 The Amphimachairodus, an early member of the cat family, was 1.3m in length and weighed an estimated 490kg. 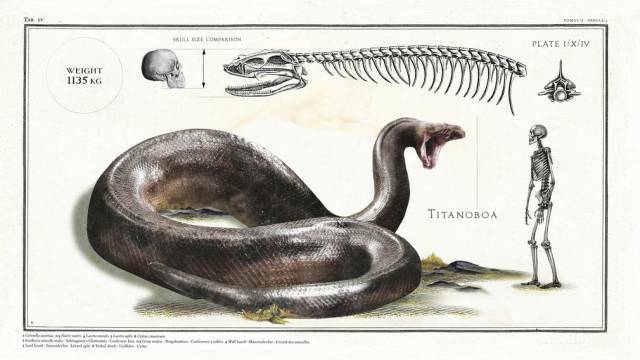 This giant snake, Titanoboa, lived around 58 to 60 million years ago. 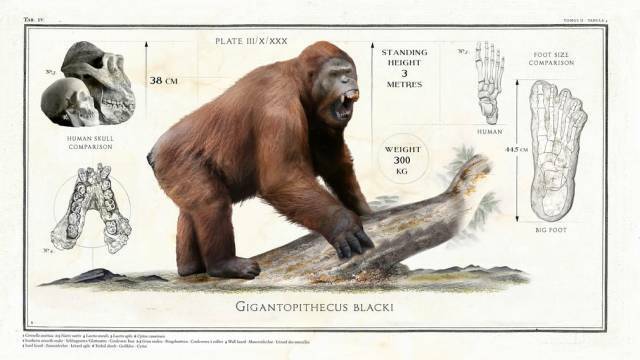 The Gigantopithecus Blacki, a giant ape from nine million years ago, was 3m tall. 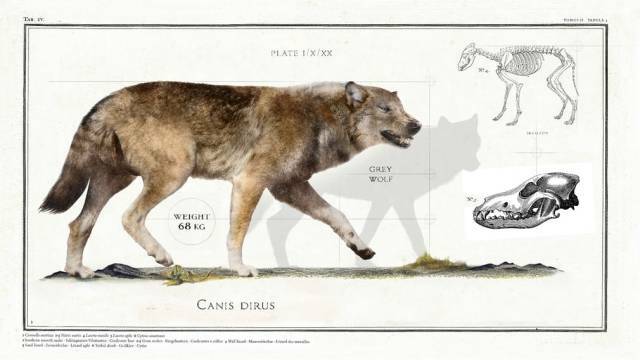 Canis Dirus translates to “fearsome dog” and the creature is also known as a “dire wolf”. It lived in the Late Pleistocene and Early Holocene epochs. This prehistoric sperm whale was 16m long from nose to tail. 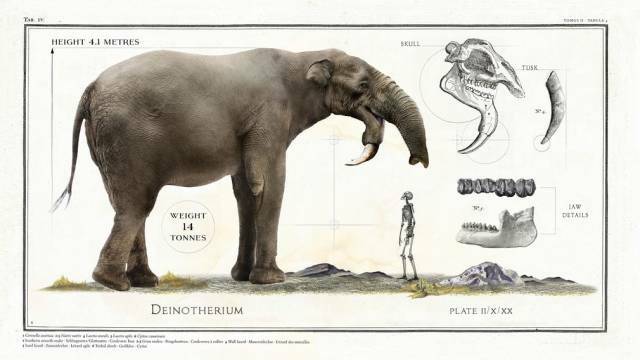 The D einotherium, a prehistoric relative of the elephant, was 4.1m high. 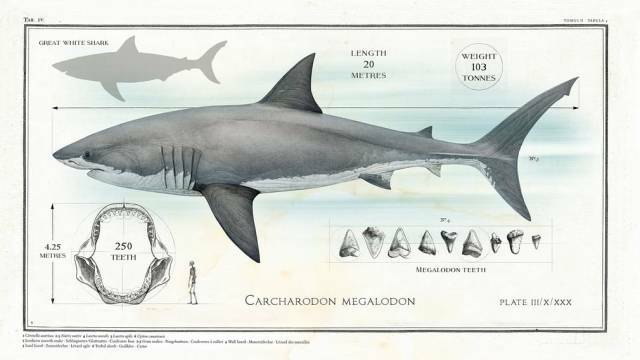 This Megalodon (big tooth) lived between 23 and 2.6m years ago. 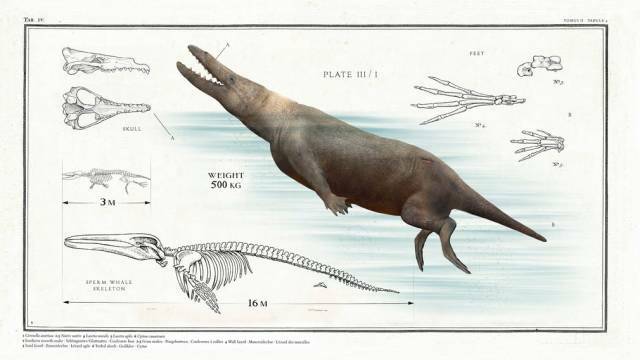 It is an early relative of the great white shark and palaeontologists believe it was a staggering 20m in length. 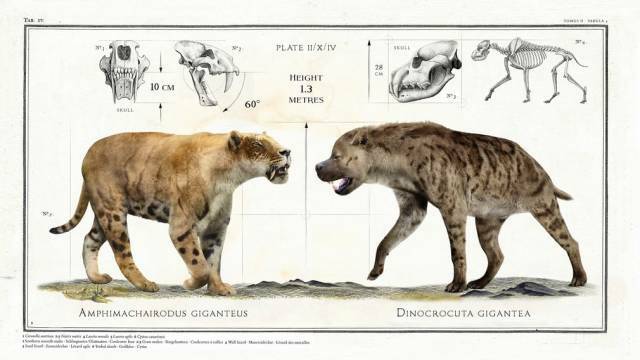 The A mphimachairodus giganeus and the D inocrcuta gigantea where both 1.3m high with truly fearsome teeth and powerful jaws. 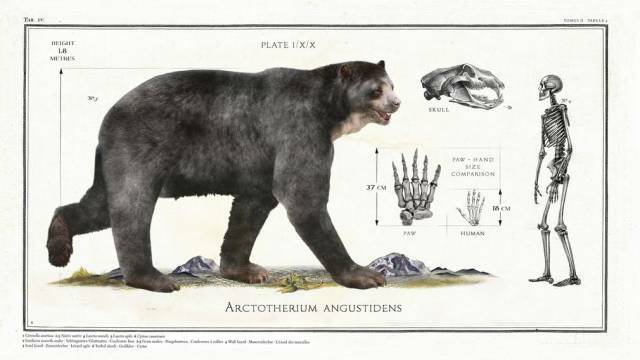 This enormous prehistoric relative of the brown bear, Arctotherium angustidens, was the height of a grown man when walking on all four paws. 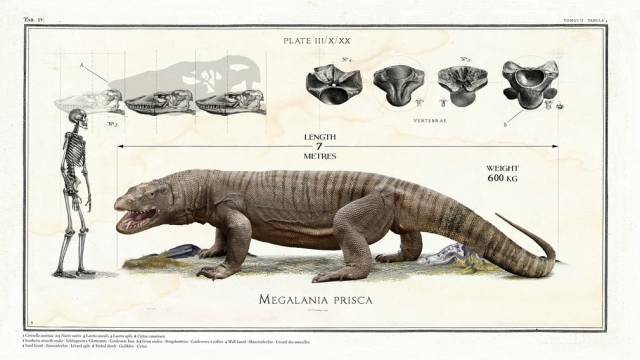 Fossil records indicate that this early lizard, Megalina prisca, was a whopping seven metres in length.